For an overview of The Research Loop, head to our About page! The patient and caregiver voice in research is essential. Patients and caregivers have unique expertise from their lived experience in the healthcare system that can be used to improve research. Adding to international efforts to involve patients and caregivers in research, The Research Loop presents an innovative solution to traditional barriers that prevent patients and caregivers from having their voices heard. 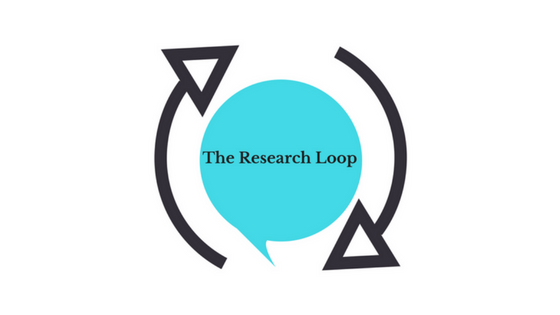 The Research Loop is a web-based application hosted at www.theresearchloop.com where patients and caregivers who have read published research articles can submit feedback to researchers. This feedback can help researchers identify better research priorities and enhance the quality of research including research design, analysis, and interpretation. The following paper outlines the linear research process and how current initiatives to involve patients and caregivers are still limited. The paper continues by exploring all the areas in the research process where patients and caregivers can have an effect and how The Research Loop’s platform will facilitate elevating their voices to ensure they have maximum impact. It explores rationales for including patients and caregivers that go beyond the research process, including moral and funding justifications. Tenets for including patients and caregivers and the barriers to including them are addressed. Later, researchers’ as well as patients’ and caregivers’ motivations for becoming involved in research are examined. And finally, the paper explains how The Research Loop aligns with current initiatives for patient and caregiver engagement, open access to research, and data sharing. Throughout, the paper demonstrates that by giving patients and caregivers a platform to offer feedback to researchers, The Research Loop transforms the research process.